At Spinland Casino you can adjust the page with different languages such as English, German, Swedish, Norwegian, Finnish. The Casino site has a astonishing and mobile friendly design with a good selection of casino games. There are more then 500+ titles on the site from cracking game providers such as Thunderkick, Aristocrat, NYX Interactive, Microgaming, Leander Games, Quickspin, Evolution Gaming, NetEnt. The website says ‘Welcome to Spinland, your destination to win’, and promises the world’s greatest casino games and slots. Spinland Casino was launched in 2017 and runs under White Hat Gaming Limited management. The site has a friendly feel to it and a modern, easily adjustable layout, showcasing games from multiple providers organised into categories for effortless navigation. 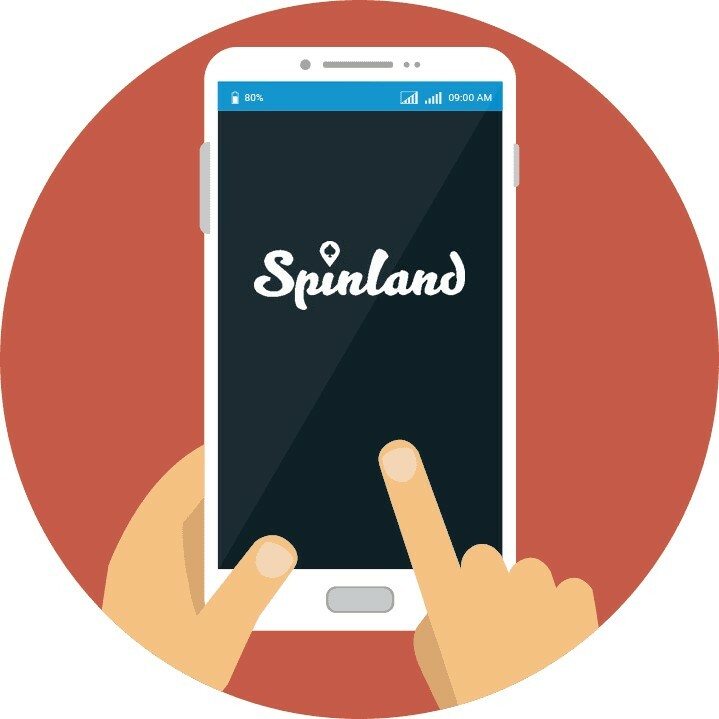 Spinland is a land of online casino entertainment, where gamblers can rely on 24/7 support, secure payments and take pleasure in more than 500 varied games. It’s good news for all British casino players that Spinland Casino have a license to operate in the UK casino market. It gives a extra layer of protection and safety for the players since the casino site has clear rules and regulations to follow to be able to uphold their UK license. At Spinland, the casino lobby stretches out from slots in all shapes and sizes, jackpots and live dealer tables to a separate poker room and scratch cards. There are hundreds of slots to choose from, classic ones with fruit symbols and 3 reels but also plenty of new editions, 3D slots and feature-packed machines. Players can also visit sections with only roulette and blackjack games, and choose live dealer tables for a realistic gambling experience on desktop or mobile. Software developers such as Microgaming, NetEnt, Evolution Gaming, NYX Interactive, Aristocrat, Blueprint, 1×2 Gaming, Leander Games, Quickspin and Thunderkick all supply Spinland with their accomplished products. The wide range of slots accommodates different types of players, offering titles with various themes, payouts, features, characters and bonuses. Popular slots at Spinland include Gorilla Go Wild, Jack and the Beanstalk, Reel Rush, Twins Spin, Thunderstruck II and Mermaids Millions among others. New additions are Lord of Darkness, Bank or Prank, Midnight Rush, Samurai Split and The Phantom of the Opera. Winning a massive jackpot is also a possibility at Spinland, because the casino offers some of the best progressive slots such as Mega Moolah, Mega Fortune, Hall of Gods and Arabian Nights. If table games are your thing, Spinland can give you great fun across various virtual roulette, poker, blackjack and baccarat tables. Each of the game variants is available in both high limits and low limits format, and there are also interesting offerings such as Pontoon, Six Shooter, Sharp Shooter, Oasis Poker, Caribbean Stud and Odd One In. Blackjack fans can enjoy Double Exposure Blackjack, European Blackjack Gold and Single Deck Blackjack, and roulette can be played in tis European, French and American versions. Spinland visitors can try out some of the attractive video poker machines on site like Deuces Wild, Jacks or Better, Joker Wild and Aces and Eights. For instant wins, the scratch cards section offers lovely titles like Genie Wild Scratch, Big Foot Scratch, Oil Mania Scratch and more. Thanks to the powerful NetEnt Live platform and a rich Evolution Gaming live dealer suite, Spinland provides its members with an enviable live casino offer. Available games include Live Three Card Poker, VIP Roulette, Common Draw Blackjack, Live Baccarat, Live Roulette, Live Blackjack and also Dream Catcher. 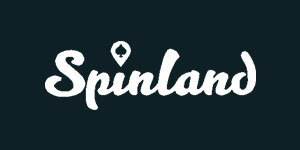 Once you step foot in Spinland, you won’t have to worry much about anything, let alone banking. The casino has you covered. You can use multiple payment options to settle your deposits and withdrawals, conveniently and safely. These options include Visa, MasterCard, Trustly, Giropay, Sofort, DotPay, Skrill, Neteller, PaysafeCard and Bank Wire. Usually, withdrawals take from 3 to 5 working days to complete, while deposits are processed immediately. Since Spinland residents, aka players, are management’s top priority, the support scheme is at the very highest levels of performance around the clock. Email and live chat support are available 7 days a week, 24 hours a day. Although there is no phone support offered, the two options manage to deal with all the issues and customer inquiries in a timely manner. Spinland’s VIP customers are entitled to special VIP support, so the needs of top clients are also taken care of and the harmony in Spinland is never broken. 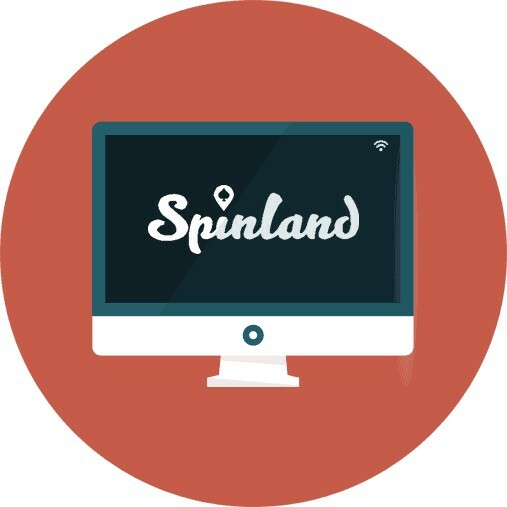 Casino representatives at Spinland Casino can be reached via an online live support. You can reach the mobile site in your browser and play most of the games, whether you have an iOS or Android phone. You do not need to download any app or external client to be able to entertain you with casino games when you have a moment over, but you can bring with you Spinland Casino in your pocket.